Located in Huron county in North Central Ohio, Augusta-Anne Olsen is an incredibly scenic nature preserve worth taking the time to hike. The preserve was named for Augusta-Anne Olsen, a woman that appreciated the area's natural beauty and its significance to the region. This 100+ acre preserve features a few distinct areas, including a small pond filled with lotuses , an open field for viewing wildflowers and insects, and a wooded trail that follows the bend of the Vermillion river. While at this preserve, I found myself appreciating the details far more than the wider landscape. Pictured first is a low-angle, intimate view of the lotus pond; even with the late summer's heat burning the lotus leaves, they still sing in the morning light. My second photograph of the morning was made at the river bend trying to capture the last bit of haze coming up from the water. 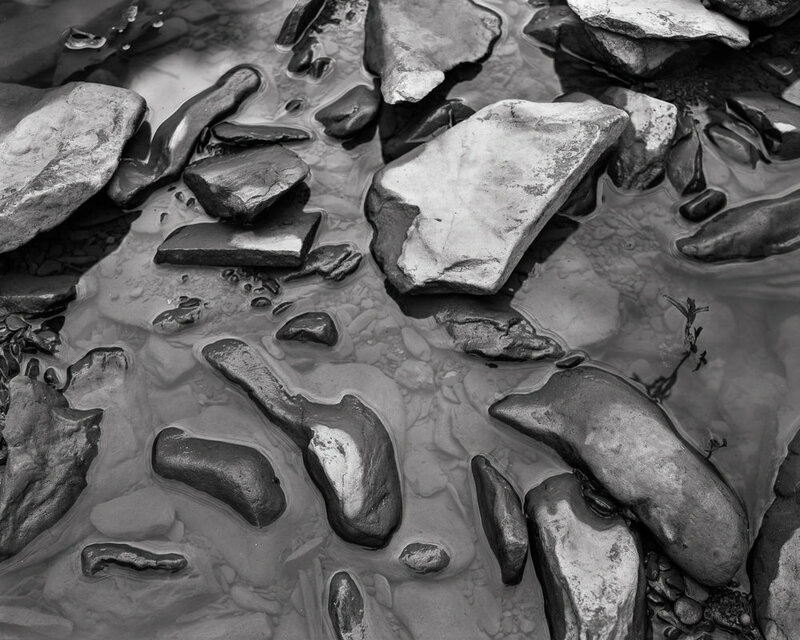 While that exposure was being made, I couldn't help but notice how interesting all the of different rocks were in the shallow river bed. From there I cranked the tripod head downward, pulled the bellows out to near-macro extension, and made my final photograph for the morning. If you'd like to check out any of these fantastic State Nature Preserves (SNP's) for yourself, remember most of them are free to visit, and usually only an email away from getting permission. Check out more of the Ohio Uninterrupted series by following the tags in this blog post, and see you next time!